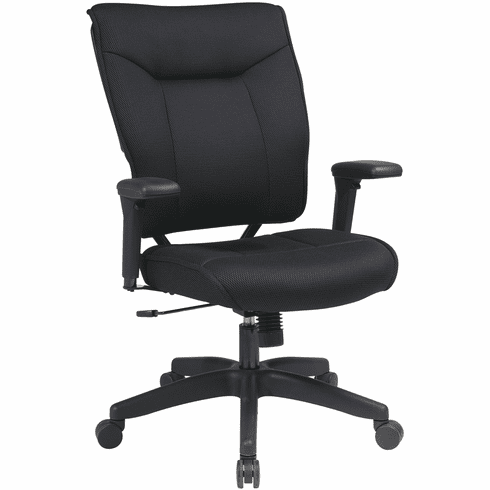 Designed with comfort in mind, the Space Seating Black Mesh Executive Chair offers a thickly padded contour seat and back with built in lumbar support and 2 to 1 Synchro Tilt. This chair is GREENGUARD Indoor Air Quality certified, making it not only aesthetically pleasing, but environmentally friendly too! Seat Height Min: 18" - 22.25"